Folic acid is the man-made form of folate. Folate is a B-vitamin naturally found in some foods. It is needed to form healthy cells, especially red blood cells. Folic acid supplements may come in different forms (such as L-methylfolate, levomefolate, methyltetrahydrofolate). They are used to treat or prevent low folate levels. Low folate levels can lead to certain types of anemia. Conditions that can cause low folate levels include poor diet, pregnancy, alcoholism, liver disease, certain stomach/intestinal problems, kidney dialysis, among others. Women of childbearing age should receive adequate amounts of folic acid either through their diet or supplements to prevent infant spinal cord birth defects. Take this product by mouth with or without food as directed by your doctor, usually once daily. If you are taking the over-the-counter product, follow all directions on the product package. If you have any questions, ask your doctor or pharmacist. Dosage is based on your medical condition and response to treatment. Do not increase your dose or take this product more often than directed. Take this product regularly to get the most benefit from it. To help you remember, take it at the same time each day. Follow the diet plan recommended by your doctor or dietician. See also Notes section. What conditions does L-Methylfolate treat? Folic acid usually has very few side effects. If you have any unusual effects from taking this product, tell your doctor or pharmacist promptly. A very serious allergic reaction to this drug is rare. However, get medical help right away if you notice any symptoms of a serious allergic reaction, including: rash, itching/swelling (especially of the face/tongue/throat), dizziness, trouble breathing. List L-Methylfolate side effects by likelihood and severity. Before using this product, tell your doctor or pharmacist your medical history, especially of: vitamin B-12 deficiency (pernicious anemia). Folic acid is safe to take during pregnancy when used as directed. It is included in prenatal vitamin products. Certain spinal cord birth defects may be prevented by taking adequate amounts of folic acid during pregnancy. Consult your doctor for more details. Folic acid passes into breast milk but is unlikely to harm a nursing infant. Consult your doctor before breast-feeding. Does L-Methylfolate interact with other medications? If someone has overdosed and has serious symptoms such as passing out or trouble breathing, call 911. Otherwise, call a poison control center right away. US residents can call their local poison control center at 1-800-222-1222. Canada residents can call a provincial poison control center. Symptoms of overdose may include: mental/mood changes. Laboratory and/or medical tests (such as complete blood count, folate blood level, vitamin B-12 blood level) should be performed periodically to monitor your progress. Consult your doctor for more details. Folate is naturally found in leafy green vegetables, organ meats (liver, kidney), citrus fruits, and other foods. Folic acid is added to enriched grain products such as bread, pasta, and cereal. Consult your doctor or dietician for a diet plan rich in folate/folic acid. 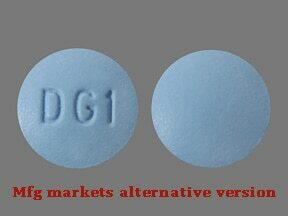 This medicine is a light blue, round, coated, tablet imprinted with "DG1". 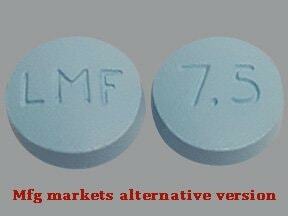 This medicine is a light blue, round, tablet imprinted with "LMF" and "7.5". 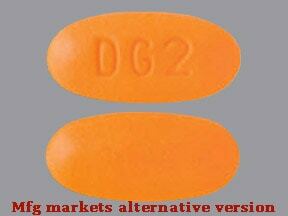 This medicine is a orange, oblong, coated, tablet imprinted with "DG2". 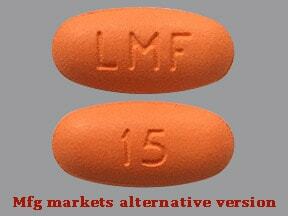 This medicine is a orange, oval, coated, tablet imprinted with "LMF" and "15". Have you ever purchased L-Methylfolate?